Rapper, a Frequent Guest on Maher's Show, Writes "That Joke Ain't Offend Me"
Comedian Bill Maher has been taking increasing fire since uttering the N-word on the air during a live broadcast of his long-running HBO show, “Real Time With Bill Maher,” Friday night. Reaction has been swift, with prominent musicians, among others, calling on HBO to cancel the show. 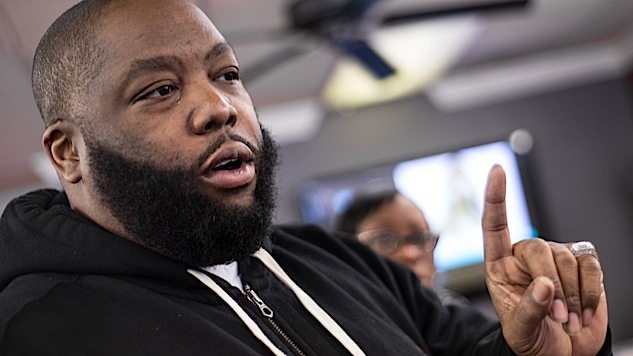 Killer Mike, who makes up one half of duo Run the the Jewels along with rapper El-P, who is white, has been outspoken on politics. He was a fervent and public supporter of Bernie Sanders during the 2016 election, interviewing Sanders in his Atlanta barbershop for a six-part series leading up to the vote.